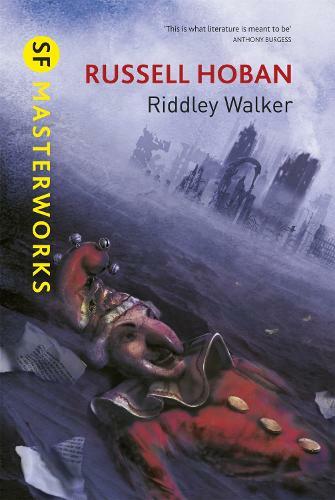 Set in a post-apocalyptic England, RIDDLEY WALKER tells the tale of one twelve year old boy and his journey through the ruins of civilisation. After the death of his father in an accident, Riddley must become a man. But his inquiring mind and strange ways set him apart from his people, and when he discovers a relic of the old time, he sets in motion a chain of events that may well lead to the end of the world (again). Written in a remarkable and rewarding language, RIDDLEY WALKER is a tour-de-force of imagination, history and psychology. Challenging and rewarding, this is a book that repays rereading again and again. There's a reason why the reviews were so good, and why so many authors cite it as an inspiration. It is, quite frankly, a masterpiece. This is a contender for my favourite book.